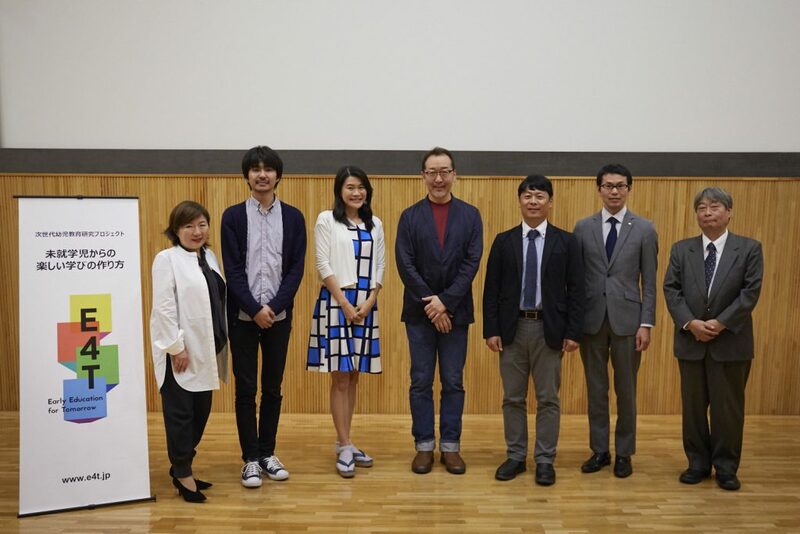 On May 15th, NPO CANVAS and Candlewick held their second symposium named E4T (Education for Tomorrow) at Fukutake Hall of Tokyo University, welcoming many educators, education-related faculties and parents. Mr. Kaoru Takeuchi, a science writer and the founder of Yes International School that provides trilingual education in English, Japanese, and programming languages, presented a keynote speech followed by several educational faculties who shared their experiences in programming education. Mr Takeuchi explained that the reason behind establishing a trilingual school like Yes International School, is to accept children who drop out of the current education system that has long been adjusted to the industry of previous era, given the history and labor market that existed until today. He continued to explain that in the AI generation this coming future, there is a necessity for children to exert their creativity to the fullest and learn the suitable language skills to adjust to the AI world. Following the keynote talk, four participants made a presentation and exchanged their views at the panel discussion. Mr. Sugiura from NPO Yamanashi Information and Communication Institute, who created programming workshops with a software called ScratchJr. for children, young and elderly to learn together regardless of age. Mr. Kuribayashi, who is responsible for ICT education acceleration and next generation education development at Shingakukai, an educational institution that enforced iPad in their kindergarten from 2012 and produced students accredited of “Mitou Junior Super Creator” a sponsored project that supports creator and programmers under 17 years old. Mr. Nishimura, the director of Gakken cram school holdings who introduced their case study of using Cubetto, and finally, Mr. Nakajima from GI village of Clantete educational institute where Montessori based programs are being practiced. The panel discussion was ran by CANVAS Ms. Nanako Ishido who shared knowledges and experiences of programming education as well as useful information of the efficiency and difficulty of programming education for those who consider taking in programming education in the future. Among the attending participants, a few raised questions about the lack of specialists and knowledges about programming in the current Japanese education system. On the other hand, others had positive feedbacks stating the actual case studies brought up during the event were open-minding and inspired them to think in a broader way. 6 months ago we opened our first symposium with the honor of having Primo Toys founder, Filippo Yacob, explaining the importance of programming and Primo Toys in a keynote speech. Candlewick has operated as the Japan branch office of Primo Toys and its business has expanded with wider network of educational sectors today. E4T will continue to focus on new education for children. Follow us to stay tuned!